Commanding, glamorous, harsh, controversial, and not to mention drop dead beautiful. These are some of the ways to describe Maria Callas, an American-born Greek Dramatic Opera singer. Though known to be a funny educator of a voice Master Class, her eccentricity towards art before led her to numerous dispute against rivals and opera managements itself. Because of these unstoppable feuds, Callas did become the face of controversy among people and becomes a constant subject of media attention and gossips of her time. But despite the negative vibe towards people on her industry, she remains loved by people especially by her fans. Behind her busy life as an artist, she met somebody that ignites a human inspiration on her (even while already married). His name is Aristotle Onassis, a shipping magnate from Greece. They do share mutual feelings towards each other but left Callas in favor of Jacqueline Kennedy. 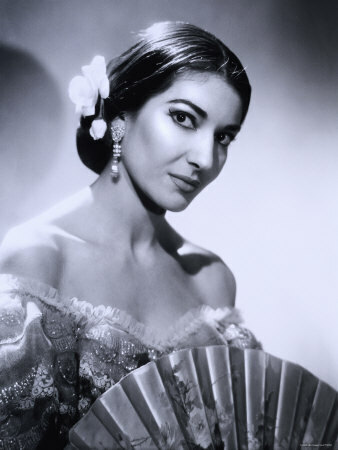 As Callas' voice continues to fade, so as her star. Her career starts to decline as all the misfortune consumes her. She spends the last years of her life teaching on some of the known schools both in America and Europe. In 1971, Callas taught a series of Master Classes on Juliard School in New york which eventually became a basis for Terrence McNally's 1995 Opera play. Terrence McNally’s Master Class was first produced by the Philadelphia Theatre Company in March 1995. It opened at the Golden Theatre in New York City in November of the same year. 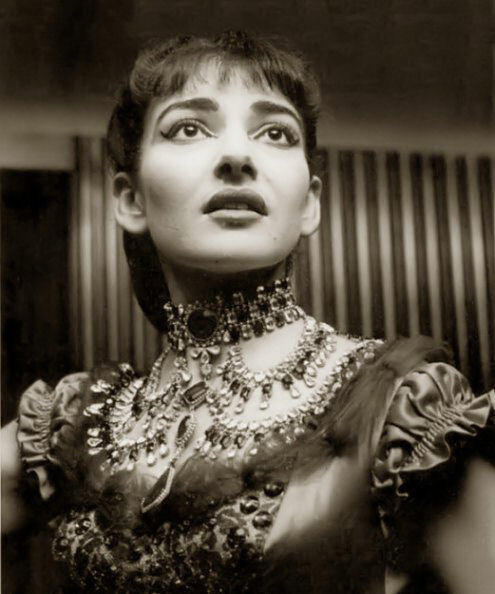 Though the play talks about Callas' exploits and memoirs, it also focuses on the dramatic aspect of opera singing. Due to insistent public demand, after 2 years Philippine Opera Company will re-stage the Tony Award-winning show, Master Class featuring television, film and stage actress Cherie Gil in a very rare performance as the opera icon. 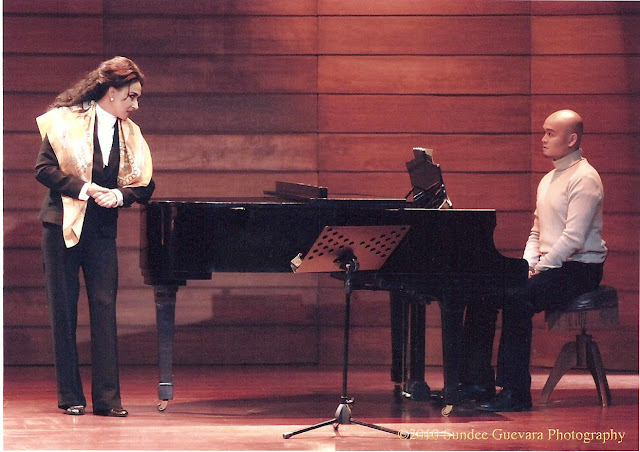 Directed by Michael Williams, Master Class features Juan Alberto Gaerlan as Anthony Candolino and Al Gatmaitan (alternate), Florence Aguilar as Sophie de Palma, Ana Feleo as Sharon Graham and Kay Balajadia-Liggayu (alternate), and Francis Amora as the pianist Manny. 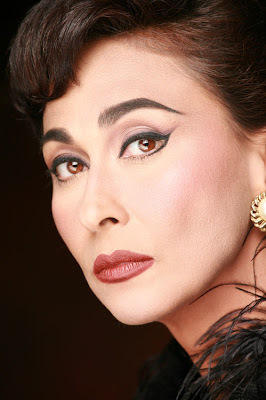 Master Class will run at the Carlos P. Romulo Auditorium, RCBC Plaza with 10 performances on July 29, 30, 31, August 6, 7, 8, 12,13, 14 and 15, 2010. Thursdays, Fridays and Saturdays at 8 p.m. and Sundays at 3:30 p.m. MASTER CLASS is supported in part by the Yuchengco Group of Companies, Robinsons Luxuria of Robinsons Land Corporation, Lyric, Lifestyle Network, Make Up For Ever, Odyssey Music and Video and 105.1 Crossover.